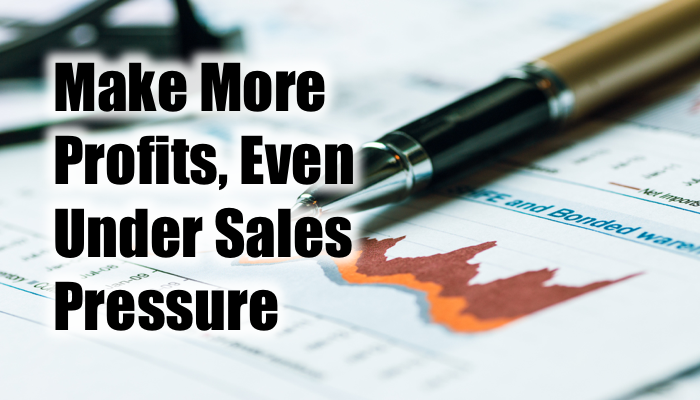 When salespeople feel competitive or market pressure — often showing up as order delays or downward pricing pressure — they tend to complain, wring their hands, and do discounts to speed up deals. This results in an unfavorable business outcome both short term and long term. Why? Because customers learn that they can manipulate what they pay by engaging sales sooner than they really need it and then delay the order for a discount. Further, they use quotes from the competition to force their preferred vendor to drop prices to match, even when they have no intention of buying from your competitor. If you even suspect that this happens to you, read on to discover how to better manage this situation. No deadline, no deal. Keep this fundamental sales principle top of mind. When you understand what internal deadline drives your customers, you can clearly identify when then need to commit so that you can deliver when they need it. You may wish to verify the deadline with other customer contacts. When it comes to customer declarations, trust… and verify. When do you need to have your budget in place? When does it need to be spent? When do you need to have your purchase in hand, ready to go? What has to happen before you commit to your order? What is the likelihood of delivery time delay? Many companies cope with a downturn by slashing prices. For companies that need cash right now, that may be their only hope. However, cutting prices almost always triggers long-term problems. Rarely can you cut your way to long-term success. Unless you position your price cuts just right, customers will expect these lower prices next time they want to buy. It may be a challenge to raise them again when you really need to. As counterintuitive as it seems, you may be better off bumping up prices instead of slashing them. Imagine for a moment that you’re making a 20 percent margin. If you cut price by 10 percent — all other things being equal — that price reduction comes directly out of profits. You will have to double sales to bring in the same amount of profit. However, how likely is it that anyone in the industry will be able to double sales with just a 10 percent decrease? Not very. Now consider this: If you increase your price by 10 percent — all other things being equal — that additional profit goes directly to the bottom line. One third of your sales can disappear before you lose the same amount of profit dollars compared to the lower price. Will you lose 33 percent of your customers with a 10 percent price increase? Probably not. Instead, this will establish value leadership in the market, critical for a profitable recovery. Plus, when you announce price increases, customers tend to place orders early to take advantage of the lower price. A double win! Who’s Going to Buy Next? Who within your customer base must buy? Go talk with them. There are always departments that have budgets they must use. Opportunities also exist with departments facing government-, industry-, or customer-mandated regulations. For these groups, waiting until tomorrow is rarely an option. Certain industries also tend to continue buying even in a soft market. Healthcare is one of the strongest markets because people always need health services, so it continues to be a growth industry with deep pockets. Other areas include the pharmaceutical industry, which takes a long-range view, and market sectors that provide the basic infrastructure services others need to run their businesses-such as legal firms, telecommunications (particularly wireless providers), and transportation companies. Companies providing customer “must-haves” in green technology and services, entertainment, and cutting-edge communication are likely to invest in new technology soon as do start-up companies and entrepreneurs. Savvy sales pros cultivate long-term customer relationships by contacting them even when they’re not buying. After all, how can you be viewed as a trusted advisor if the customer hasn’t seen you for months? If a customer says, “I don’t have any money to spend,” then ask, “When do you expect this to turn around?” If customers respond with an answer of less than six months, they have hope and are probably working out their next plans. You want to be there helping them form their future. The follow-up question is one of the most powerful in sales. By asking “How can I help?” companies open up opportunities to discuss options such as advantageous financing, trade-in towards purchase, manufacture refurbished items at lower cost, services contract consolidation, and off-season deals. The magic of this response is that you can frequently find immediate sales opportunities during the plan review that the customer wasn’t even aware of. When you’re in a slump, the return to rapid market growth may feel slow. However, through understanding internal deadlines, using pricing strategies that strengthen value leadership, a strategic focus on markets current and emerging sales opportunities, and a commitment to cultivating long-term customers today, you position yourself as a leader of tomorrow. Let’s have a conversation if you think my ideas can help you find and close more customers or to invite me to speak at your forthcoming meeting. Find a mutually agreeable time at MarksSchedule.com or contact me.